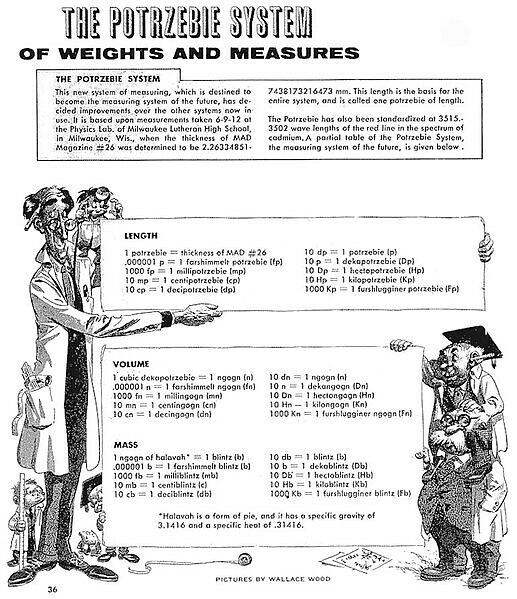 In issue 33, Mad published a partial table of the “Potrzebie System of Weights and Measures”, developed by 19-year-old Donald E. Knuth (later a famed computer scientist). According to Knuth, the basis of this new revolutionary system is the potrzebie, which equals the thickness of Mad issue 26, or 2.263348517438173216473 mm. As we trade in our tape measures, we might recall that it was on this date in 1889, that the word “hamburger” appeared for the first time in print (in the Walla Walla Union, a Walla Walla, Washington, newspaper– per the Oxford English Dictionary). In the 19th century, German immigrants migrated to North America bringing along the recipe for the hamburg steak (i.e., “from Hamburg”), a form of pounded beef. 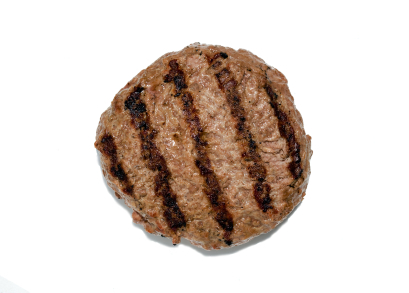 Americans adopted the dish, but used the adjectival form “hamburger” to describe it. It’s a measure of the pounded patty’s prompt popularity that “hamburger” appeared as an entry in 1902 edition of the Encyclopaedia Britannica.